Dad: Sometimes I sit on the floor and put my arms around my knees and lean forward. 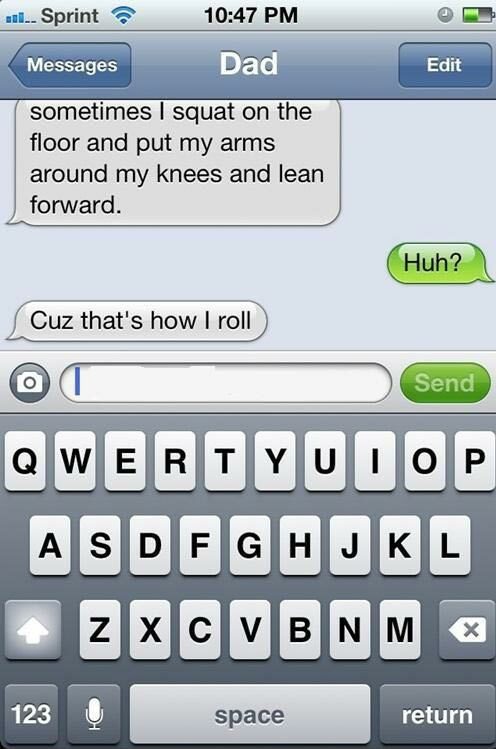 Dad: Cuz that’s how I roll! Created about 5 yrs, 9 mths ago (July 12, 2013). Updated about 5 yrs, 9 mths ago (July 12, 2013).